Looking for a way to impress your friends? Well, it just so happens I have the perfect opportunity for you. At this weekend’s Peak Dinner, the food isn’t going to be the star. The beer is. And not just any beer. 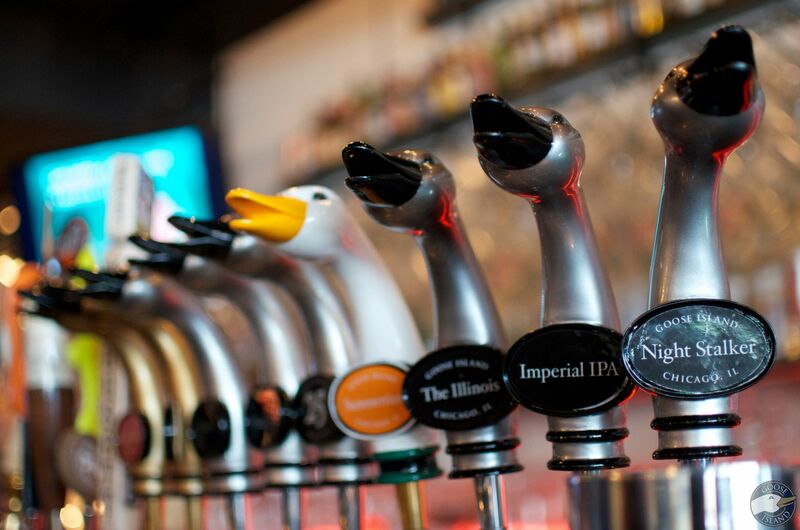 The tasty brewskis of Goose Island Brewery are taking over for the night. So what does that mean for you, you ask? I put together a couple of notes and fun facts on a few of the featured beers you’ll be drinking and eating. Yes, eating. This weekend’s menu will not only feature several of the amazing Goose Island beers, but the food will be cooked with it too. Read all about the beers, hold onto a few factoids here and there, and throw them out there over your beer-poached gnocchi and see just how impressed your buddies will be. (Even more so if you won the tickets to dinner by watching the Morning Show on Sunday River TV7 on Saturday, March 1). Brewed with loads of malt and Belgian yeast, Pere Jacques is a wonderfully fruity, malty ale. Pere Jacques’ complex flavors stand shoulder to shoulder with the Belgian Dubbels enjoyed in the world’s finest beer bars. At the dining table it’s the perfect alternative to a glass of vintage port. Food Pairings: Wide variety of foods. Its intense flavors complement rich flavors like bittersweet chocolate or wild game and contrast with spicy flavors like curries. Goose Island Brewery’s version of an experimental Sake Saision is an ale with Köji and sake yeast producing a hybrid beer like nothing Goose Island has done before. As a part of the Fulton & Wood limited release draft series, separate, small innovation groups made up of Goose Island brewers take on full creative license to brew whatever their hearts design. This small batch of creativity is typically served on draft only in Chicago. For the first time, Saision is coming to Maine for this Peak Dinner. For more information on Peak Dinners at Sunday River, visit sundayriver.com. Tickets for this event are $79 per person. You must be 21 years old or older to attend and reservations are required by calling (800) 543-2754.